The International Lunar Exploration Working Group (ILEWG) is a public forum sponsored by the world's space agencies to support "international cooperation towards a world strategy for the exploration and utilization of the Moon - our natural satellite" (International Lunar Workshop, Beatenberg (CH), June 1994). Actual members of the ILEWG, i.e. delegates and representatives of the participating Space Agencies and organizations - allowing them to discuss and possibly harmonize their draft concepts and plans in the spirit of the Beatenberg Declaration (see below). Team members of the relevant space projects - allowing them to coordinate their internal work according to the guidelines provided by the ILEWG Charter (see below). Members of the general public and of the Lunar Explorer's Society who are interested and wish to be informed on the progress of the Moon projects and possibly contribute their own ideas. The ILEWG Forum also hosts the Lunar Explorer's Society. Besides the discussion forums, users can also obtain information on how to participate, as well as details on the latest news and events regarding lunar exploration, forthcoming meetings, relevant reports and documents of importance for the work of the ILEWG, summary descriptions of current lunar exploration projects (such as SMART-1, Chang'E1 , Selene, Chandrayaan-1, LRO, LCROSS) funded by various space agencies, and basic data on the Moon itself. Activities of the related space agencies and organizations can also be found. The Discussion Forums and part of the information is sponsored by the European Space Agency. “On the initiative of Switzerland and the European Space Agency, representatives from space agencies, scientific institutions and industry from around the world met in Beatenberg, Switzerland from 31 May to 3 June 1994 to consider plans for the implementation of internationally coordinated programmes for robotic and human Lunar Exploration. 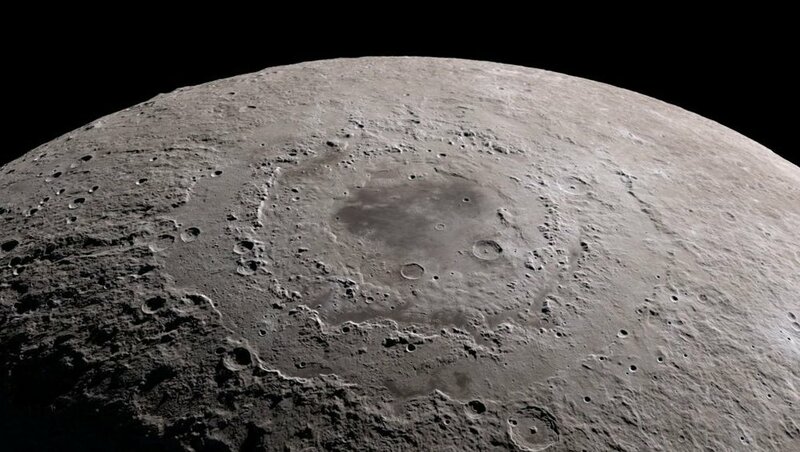 The meeting was enthusiastic about the rich opportunities offered by the exploration and utilisation of the Moon. The uniqueness of the Earth-Moon system was emphasised and the potential of the Moon as a natural long-term space-station was recognised. The Workshop agreed that the time is right, scientifically and technologically, for a staged lunar programme implemented in evolutionary phases, the first phase involving science, technology, and resource exploration missions. The initial phases of the programme, involving Moon orbiters and landers with roving robots, are within the capabilities of the various individual space agencies technically and financially; but the benefits, scientifically and technologically, would be greatly enhanced by close coordination. Each phase should set the task for the next one, but will be fully justified on its own merits without being in any way dependent on the follow-on. Strong interest was expressed in the science of the Moon (illuminating the history of the Earth-Moon system), from the Moon (for astronomical projects), and on the Moon (biological reactions to low gravity and the unique radiation environment). The phased evolutionary approach allows the differences of opinion over the role of humans in space and the economic utilisation of the Moon to be assessed later in the light of results from earlier phases. As the programme progresses, it is possible that the attractions and benefits of human presence on the Moon will become clearly apparent. It is evident, however, that the Moon would represent the next logical step and a testbed in any plans of human expansion into the solar system. The Workshop concluded that existing launcher systems would permit the implementation of the initial phases. The significant technological advances required in areas such as robotics, telepresence, and teleoperations will certainly find scientific and industrial applications on Earth. The Workshop agreed that the objectives of the programme can be accomplished while at the same time protecting the lunar environment. The Workshop concluded that current international space treaties provide a constructive legal regime within which to conduct peaceful scientific exploration and economic utilisation of the Moon, including the establishment of permanent scientific bases and observatories. To establish, at a working level, a mechanism for regular coordination of activities. In order to facilitate communication among all interested parties ILEWG agrees to establish an electronic communication network for exchange of science, technology and programmatic information related to lunar activities. All interested space agencies will appoint two or three members. A chairperson is selected among the ILEWG members every two years. ILEWG will meet regularly, at least, once a year, and will lead the organization of an International Conference every two years in order to discuss the state of lunar exploration. Formal reports will be given at COSPAR meetings.